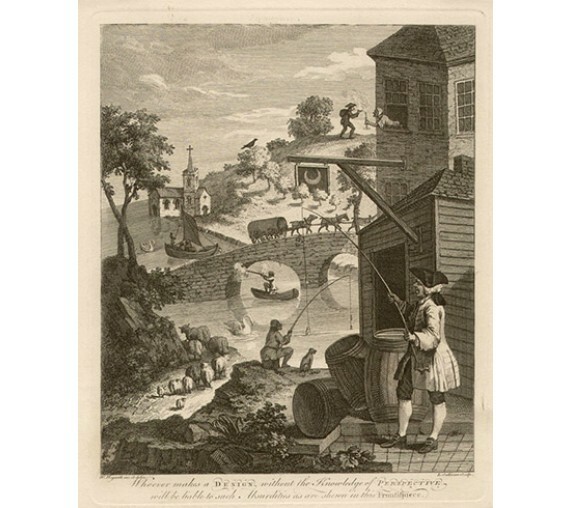 'Whoever makes a DESIGN without the Knowledge of PERSPECTIVE will be liable to such Absurdities as are shewn in this Frontispiece'. 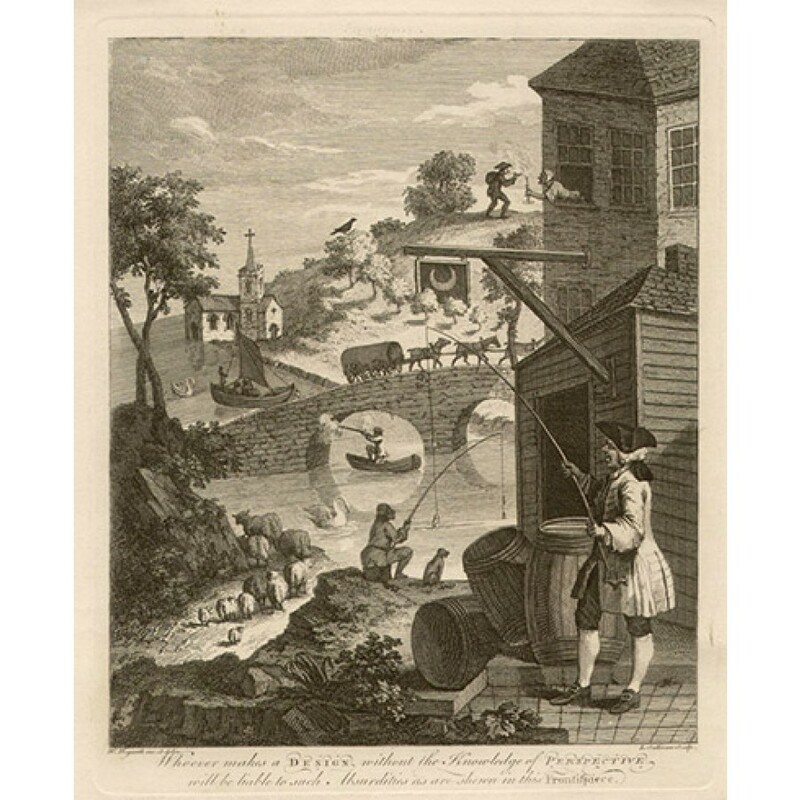 Originally published for Hogarth's friend John Joshua Kirby's pamphlet on linear perspective. This impression, published by Heath, c1822. 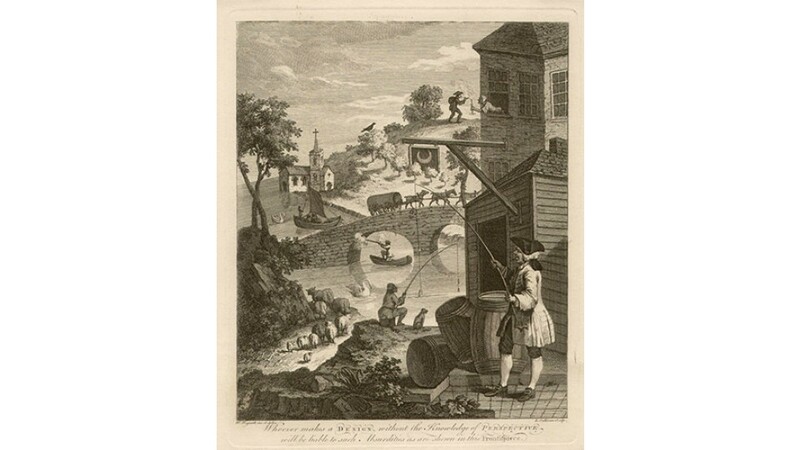 William Hogarth was a major English painter, printmaker, pictorial satirist and social critic.